1. Hike: Hike is said to be India's first home-grown messaging platform. The messaging app claims millions of users in India. Hike is available on smartphones running Android, iOS and Windows Phone. It trumps over the Facebook-owned instant messenger WhatsApp, courtesy its better sticker collection, hidden chat feature and limited 'free messaging' to non-Hike members. The company recently launched new features like Stories, Camera and Live Filters for India. 2. Facebook Messenger: Although both Messenger and WhatsApp now fall under the same Facebook family, Facebook Messenger over the past few the years has made rapid strides in the instant messaging segment. The app features a sea of stickers, has some simple but quite addictive games, and some small customization options as well. There's also auto-reply option. Facebook Messenger root is available on all major platforms. The messaging platform recently got a new look. The update introduces new tabs to the top of Messenger’s main screen. 3. Line: Line app is widely known as Facebook of Japan. Another rival to WhatsApp messenger, the app reportedly has 214 million users. The Line app offers features like timeline, coupons, video snapping. There's also support for sharing of files up to 1GB, a feature missing in WhatsApp. Line recently said that it will soon add a personal digital assistant like Apple Siri, Microsoft Cortana and Amazon Alexa to its app. 4. BBM: BlackBerry Messenger or BBM is available on Android and iOS devices and uses a BlackBerry ID and a unique PIN to sign-in users and connect them in a secure manner. The Canadian company recently announced the availability of a new portal for artists who create BBM stickers. With the new BBM Sticker Factory, anyone can now offer stickers for review. 5. Telegram: Another WhatsApp rival is encrypted messaging app Telegram. 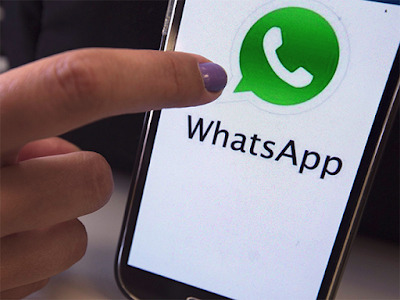 The app too offers a number of features that are missing in WhatsApp. The instant messaging app includes an option to self-destruct a message in seconds and can also let users share file sizes of up to 1.5GB. Telegram additionally has super groups that can feature up to 1,000 users along with Telegram Bots, gif support and more. It is free and available on all major app stores, Google Play and App store. Telegram recently announced a new service called Telesco.pe. It lets users watch video messages from public Telegram channels. 6. Viber: Japanese app Viber is another rival to WhatsApp. It is a popular messaging and VoIP app. The app offers features like Pinned Chat and free phone calls functionality. The app also lets users make video calls and exchange photos and messages between mobile devices and desktop computers just like WhatsApp. In early February, Viber app got support for Ephemeral Messaging. Later that month, it got another update which added a feature called Public Accounts that allows users to connect with their retailers and brands. Japanese MNC Rakuten acquired Viber in 2014 in a deal worth $900 million. 7. WeChat: The instant messaging app WeChat is one of the biggest rivals to WhatsApp, with reportedly almost 938 million users. The instant messenger app has large user based in China and is growing in other regions as well. WeChat, popularly known as Weixin in China, is owned by Tencent Holdings. The company claims that there are about 200,000 third-party developers for its platform. Besides offering regular chatting features, it has some games too. It also has support for short voice messages and video-calling feature like WhatsApp. The WeChat app also has a payment feature for e-commerce, something that is missing in WhatsApp. 8. Skype: Microsoft’s Skype service can too be termed as a WhatsApp rival, though largely its focus of lies in video and audio calling. Users can even perform group video calls easily and chat using a bunch of stickers and emojis. Skype for Windows 10 recently got new updates with improvements to screen sharing. This means users can now share their PC's audio while sharing screen on a call. 9. Google Allo: Google Allo is search giant's rival to WhatsApp. Launched in 2016, the application’s main strength is the inclusion of Google Assistant. Users can send contacts, search for places, items and everything else right from inside the app itself. Google's messaging app Allo recently got an emoji upgrade. With this, users will now be able to tap a button and turn a selfie into a sticker. Google Assistant recently got support for French and Spanish in Alloo app. 10. Kakao Talk: Not very widely-known app in India, KakaoTalk is another strong rival to WhatsApp. The app is the dominant messaging app in South Korea. Available in multiple languages, the instant messaging app boasts of several features including video calling. The app also has animated emoticons. Also, unlike WhatsApp, KakaoTalk app doesn’t need user's mobile number but works on KaTalk ID. The app is available on smartphones running Android, iOS, Bada OS and Windows Phone. It's Korean messaging app operator Kakao Corp is the second-largest on Kosdaq by market capitalization.